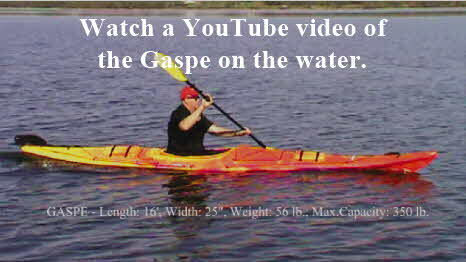 DESCRIPTION: The GASPE is our largest touring kayak. It has a hard chine hull & offers great stability. 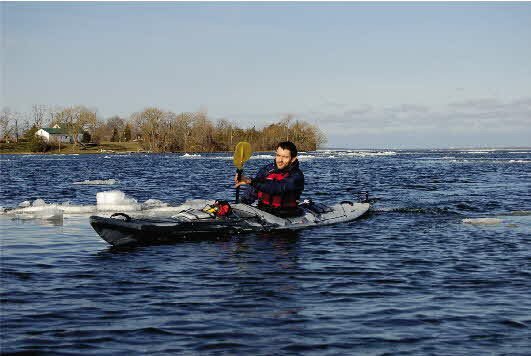 This fast, straight tracking kayak is a great choice for lakes and coastal paddling. This large, high volume design is perfect for a larger paddler and more gear.